Here's a wonderfully diverse collection of 56 beginning mandolin solos in notation and tablature with suggested guitar chords. 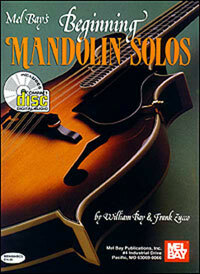 This book makes an excellent supplement to any introductory mandolin method. You'll notice your progress and gather sight-reading confidence as you read through this carefully graded series of pieces from various ethnic origins. Dix Bruce performs all of the tunes in the book on the companion CD.